The Ford Cortina Lotus was a giant-killing car in the world of saloon car racing. It achieved success in Europe, Australia, and the USA. It was also a wonderfully rewarding road car. This particular Cortina is listed for sale here on eBay. Located in Austin, Texas, it comes with a clear title. There has been only one bid at this stage of $1.00 but there is a BIN option of $24,500. 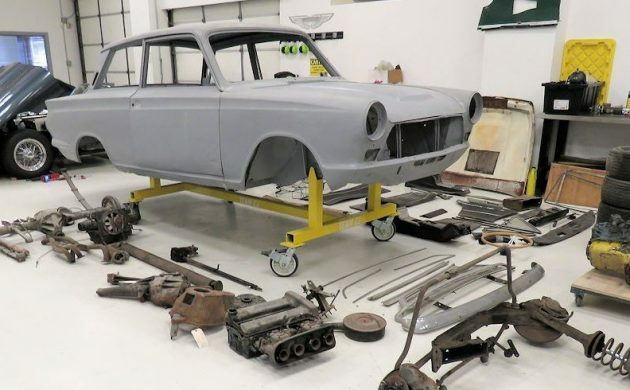 This Cortina was disassembled for complete restoration and then the project stalled. 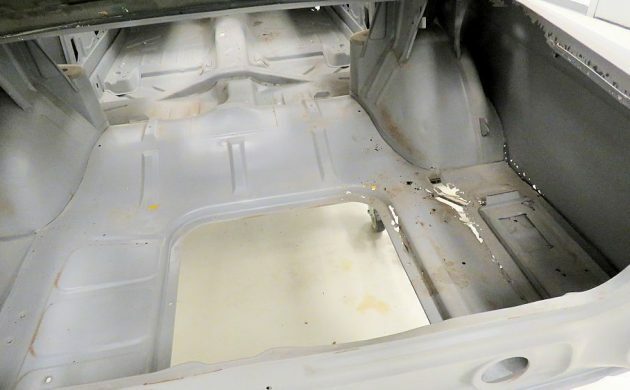 The body has been blasted back to bare metal and then coated in epoxy primer. This has revealed some rust issues, but none of these look to be too severe. The rust that you see in this shot is probably the worst of it. 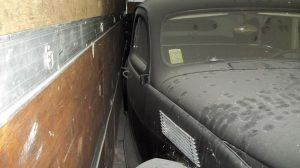 There is also some in the bottom of the trunk and lower quarter panel on the driver’s side, some around the trunk opening, and there appears to be some in the front floor on the passenger side. 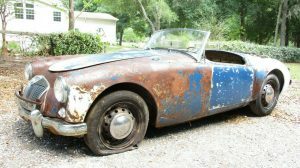 The beauty of having the car in its current state is that any issues are clearly visible and should be able to be repaired properly. The car is currently mounted on a roll-around jig and will remain on that for the new owner. The interior trim is all present, but once again there is a fair amount of work involved in restoring it. The seats have been stripped to bare frames and springs, so will require padding and covers. The door trims also appear to be quite warped, so the cards may have to be replaced. The factory Lotus-specific console is present, and the seller has sourced a genuine Lotus steering wheel that appears to be in great condition. There is also a new dash panel with the car. The wonderful little 1,557cc engine is complete but has been partially dismantled. The cylinder bores are exhibiting some surface rust, so the seller suggests that it should undergo a complete rebuild. 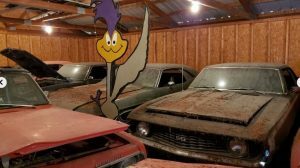 The original transmission is also present, but the seller doesn’t specify whether this is the standard transmission or the optional close-ratio version. The rest of the drive-train and suspension appears to be present, but it will need to be assessed, restored and detailed before it is re-installed into the car. 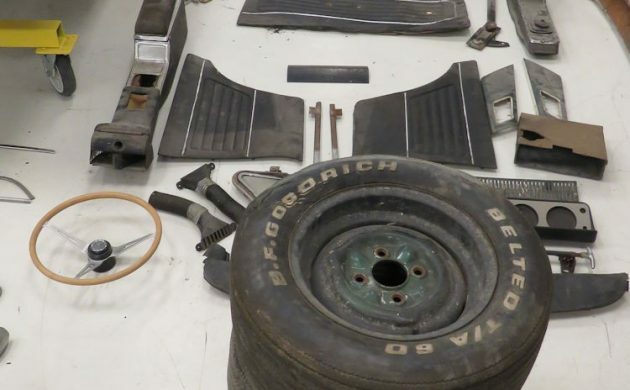 At $24,500 this Cortina represents a major investment for a car that is in pieces. 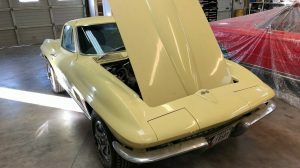 The seller has undertaken to carefully package and label the components to assist the new owner with the reassembly process. While there is a lot of work ahead of the new owner, there should be major rewards at the end of the project. Not only are these a truly remarkable little car to drive, but they are currently commanding prices in excess of $75,000. At $24,500 that leaves a fair amount of room to complete this restoration. Looks as if this Cortina isn’t the only car resting on a jig. 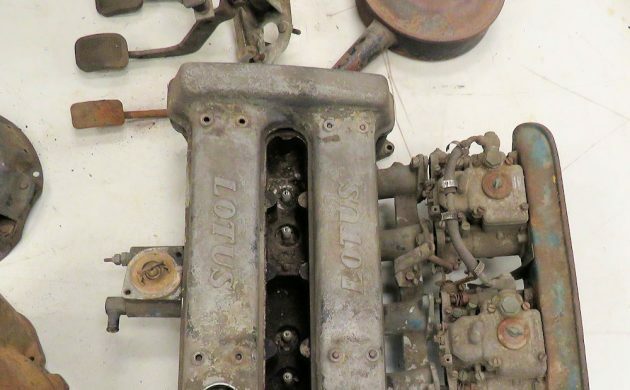 Is the seller a restoration shop that got bored with the project? Nothing like ripping one apart and just putting the parts everywhere unlabeled too. 25 large seems high for a something that’s apart. Would cost almost 50 to finish, there’s your 75k. If it floats your boat, make an offer. Would be neat to see this gem done That lotus eng looks cool. Provided the new owner does 80% of the remaining work himself, and the stock market/economy continues to sail smoothly – this project ‘could’ provide the next owner with a profit. If the new owner wants to continue paying a restoration shop – it will end up burning thru all of the perceived profit. Looking at the photos on the sellers website (http://classicjaguar.com/cj/65lotuscortina.html) a proper looking VIN tag is shown towards the bottom of the page. Granted it’s not attached to the body but that is as simple as two rivets. Now the big question is there a matching VIN stamped into the right front strut tower sheet metal? Seems like the attorneys made out quite well…. GEEZ! Without a proper tag, as mentioned above, that shell is nothing but Mk1 Cortina. Very nice models are fetching high prices. I always thought the best way to tell if it’s a LoCort was to put a magnet to the doors and trunk. My LoCort had aluminum doors and trunk, but I’m told that is not true for all of them. I know everyone our family owned had the aluminum. If the parts were in good shape, maybe. But these definitely need work. Further, if interested, that court case above is a must read. I’d love to get my hands on another LoCort, but this one is a definite pass. LoCort? NEVER heard that – and been in the world 30+ years. Steve, I don’t believe any of the later LHD airflow Lotus Cortinas were fitted with the alloy panels. If any were it would have been done by special order. A proper VIN tag is hugely important to a genuine Lotus Cortina (any car really) but just as important is a correct body shell. 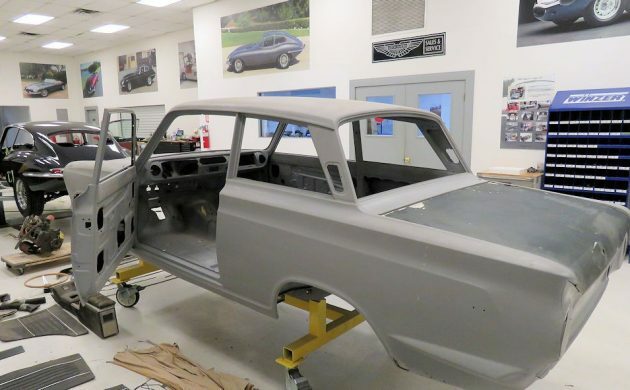 It is amazing how many modifications were done to the Mk1 Cortina body shell in preparation for the Lotus tuning. Many of these changes were obvious with others being very subtle. All Mk1 Cortina shells were not created equally. In fact it’s probably easier to find a Lotus Cortina VIN tag than a proper shell. Reminds me of the old joke about 3,000 Mk1 Lotus Cortinas leaving the factory and 4,500 still surviving today. customers go south some times. I think if you wanted to round up all the parts to build yourself a “tribute” car you could easily approach the BIN price. The shell looks pretty good in the photos. I noticed the two piece driveshaft is gone but the shell looks like it has there holes for the center bearing.